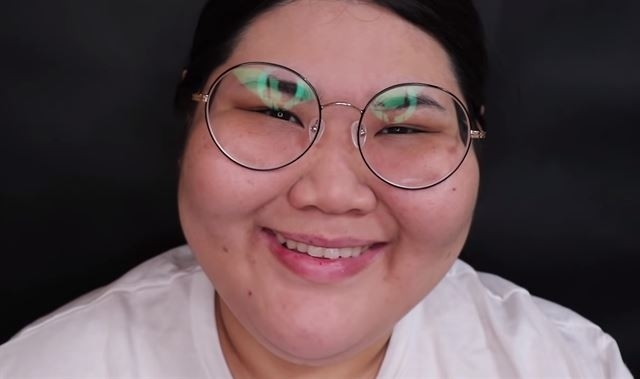 SEOUL, June 21 (Yonhap) -- A bizarre video of a beauty YouTuber removing her fake eyelashes and makeup and putting on glasses has taken the Internet by storm. The harassing comments about her appearance continue after she finishes her makeup. This time, users say "Men don't like heavy makeup" and "I would kill myself if I were you." After a brief pause, she calmly pulls off her fake eyelashes and makeup, puts on her glasses again and smiles brightly. Seen next is a blank screen with white text saying: "You don't have to be pretty. Don't overtax yourself because of the eyes of others. You're special. Find yourself." In just two weeks, the video has been viewed more than 1.5 million times on YouTube and has drawn more than a thousand comments, with many girls claiming they could relate. "There are many women who wake up early in the morning and begin preparing their makeup one or two hours before going out even though they don't want to," Bae wrote in a message that appears with the video. "After much thought, I decided to post this video to be of help to the 'corset-free movement'." The movement refers to the campaign to defy standards of female beauty demanded by society, such as women being expected to wear thick makeup, long hair and tight clothes. Earlier, another beauty YouTuber, Daily Room-Right Brain, surprised her subscribers by appearing with her hair cut short and declaring that she would quit posting makeup tutorials and join the movement. "I was raised in a patriarchal family and was sexually harassed when I was in high school," she said in her message that comes with the video. "It was painful to live in such a misogynistic society," she said, adding that she made the decision to support the movement with the goal of changing society. Now more and more women in their late teens and 20s post photos of crushed cosmetics and their cut-off long hair on social media to show their resolution to ignore social pressure. They prefer wearing glasses rather than contact lenses while wearing no makeup and comfortable clothes. "My life has changed since I cut my waist-length hair. 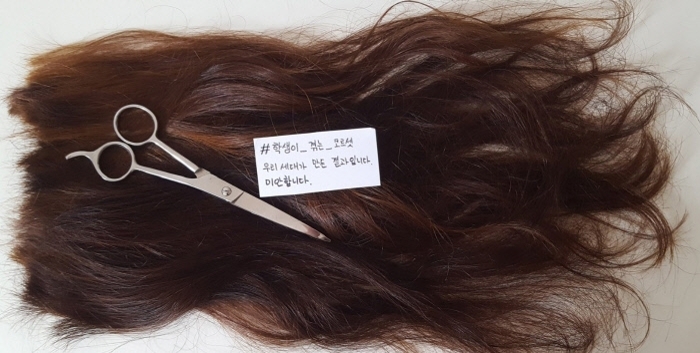 Above all, I can save 300,000 to 400,000 won (US$268-358) a month, a sum that I used to spend solely on my hair," a woman who uses the ID @sosimin9 wrote on Twitter with a photo of herself with short hair. "I have since received a plenty of questions asking if I broke up with my boyfriend or if he didn't like that hairstyle. Does this mean women's long hair belongs to men?" 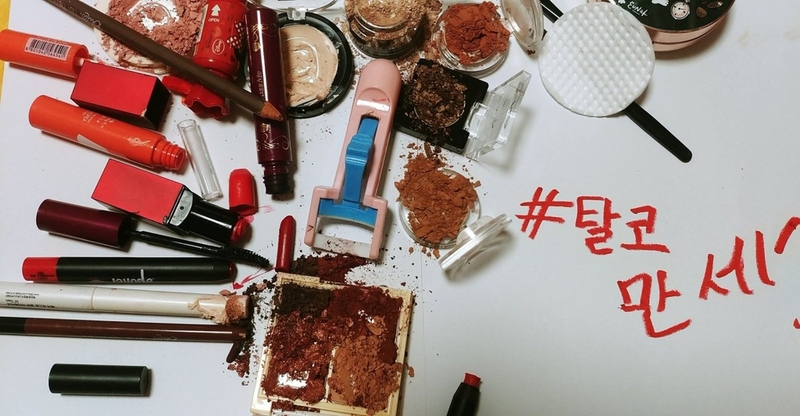 Twitter user @QGyj2aAyAFAqi2c wrote in a message that accompanied a photo of crushed cosmetics products: "I wonder why I wasted my time with these things. It's really annoying that I even voluntarily put on something harmful to my body." "For women, dressing up amounts to a labor of eroding themselves. The fact that more and more women wear pants and cut their hair like men proves that the most effective body in this society is that of men," said Yoon Kim Ji-young, a professor at Konkuk University in Seoul. "Women participating in the corset-free movement are now asking why beauty is only demanded of women." Small changes are also under way in the broadcasting industry, which is a traditionally conservative working environment. 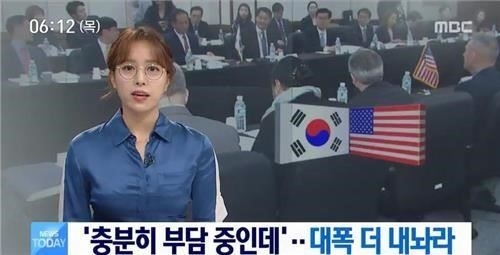 Im Hyun-joo, a news anchor of major television network MBC, has been reading the news with her glasses on instead of contact lenses since April, becoming one of the first South Korean female announcers to do so. "Before, I used to put on contact lenses even though I felt uncomfortable with them," she said in a recent media interview. She said she was inspired by a newspaper article about the round glasses that Kim Eun-jung, the captain of South Korea's women's curling team, wore during the PyeongChang Winter Olympics, where the team captured a surprise silver medal. "The article said that Korean society has an unspoken rule forbidding women from wearing glasses at work. The broadcasting scene is no exception, so female announcers never wear glasses. I then thought, 'What if I become the first one to wear glasses? '," she recalled. But it took three more weeks for her to gather the courage to carry out the plan because she worried how viewers would react to her move. Reactions were positive across the board with many praising her courage. She has received many interview requests from newspapers. "I was always curious why female announcers have such short careers. That's probably because beauty and youth are considered the most important qualifications for the job. But I think this is far from the essence of the job, which is to analyze news well and give confidence to viewers. I think we should cut out things that are not essential one after another." Domestic airlines have also responded to the mounting calls from their female workers to ease strict rules on their appearance. 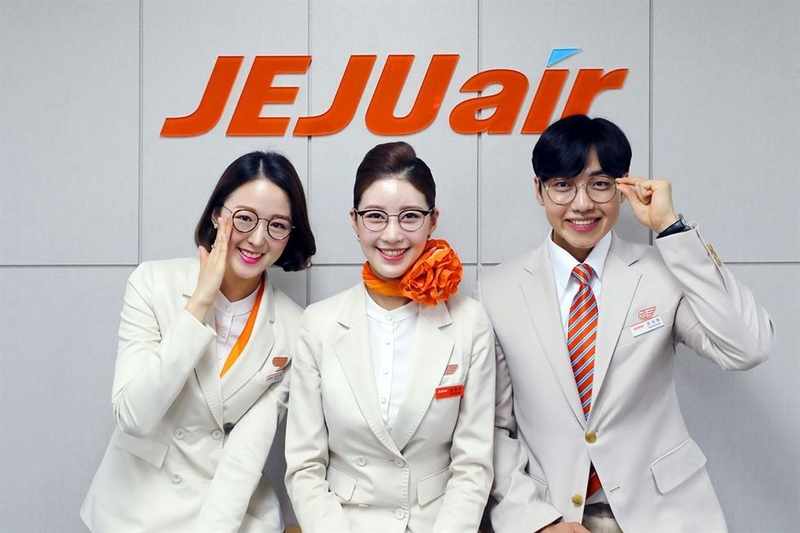 In April, Jeju Air, a budget carrier, allowed its flight attendants to wear glasses and nail art for the first time in the South Korean airline industry. Asiana Airlines allowed its female flight attendants to sport bobbed-hair starting this year, a departure from its long-standing rule requiring them to pull their long hair back into a bun. "I hope more and more people can break unreasonable taboos or customs and cheer up those who do this. I'm convinced society will become more diverse if such 'small changes' pile up," Im said.